Jericho Settlers Farm is a 200 acre farm producing 25 acres of certified organic vegetables, flowers and herbs for our Year Round CSA programs, farmstands and wholesale customers. We rotationally graze, hay and cover crop approximately 175 acres of land for our sheep flock, pigs and poultry. 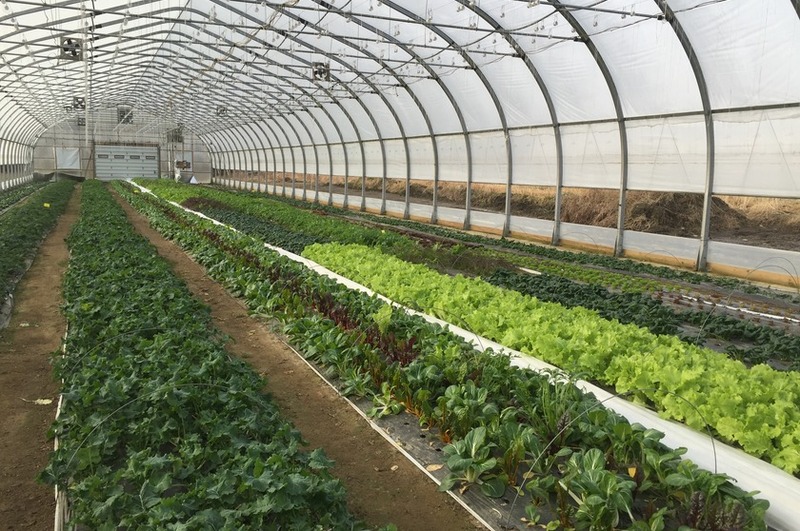 In addition, we manage over an acre of crops in our hoophouses and greenhouses year round. We specialize in year round vegetable production, highlighting salad greens and root vegetables. Products Overview: Winter 2017 seasonally available vegetables: carrots, beets, potatoes, cabbage, parsnips, turnips, cut greens.